A/Prof Andrew Wei in clinic. A/Prof Wei researches AML. 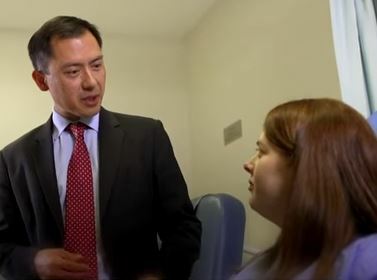 Still from "Meet our research champion: Dr Andrew Wei"
A national clinical trial program led by Monash University researchers testing drugs that may help patients with an aggressive form of leukaemia has been awarded a federal government grant of more than $1.5million. 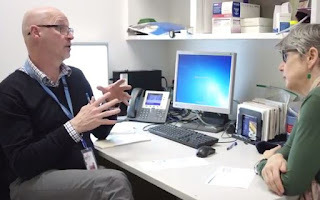 The program, investigating treatments for Acute Myeloid Leukaemia (AML), is being funded by the Medical Research Future Fund’s (MRFF) Rare Cancers, Rare Diseases and Unmet Needs Clinical Trials Program. A/Prof David Curtis, left, in clinic. Associate Professor David Curtis was among four medical researchers from Monash University and The Alfred Hospital awarded more than $5.5million under the Medical Research Future Fund’s (MRFF) Rare Cancers, Rare Diseases and Unmet Needs Clinical Trials Program. 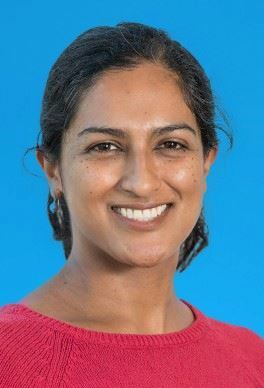 Suicide rates are alarmingly high among middle-aged women, and under-recognised and under-treated perimenopausal depression could be the culprit, says Professor Jayashri Kulkarni, director and founder of the Monash Alfred Psychiatry centre (MAPrc), in an interview posted on the MAPrc site. Professor Kulkarni discusses early research she and her team have conducted into the hormone therapy Tibolone for addressing depression, which was “very encouraging”. MAPrc are currently recruiting participants for a study into this. 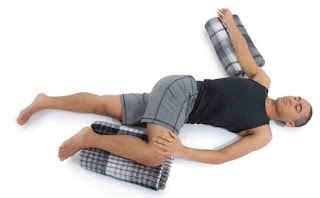 Click here for more information about the research and to read The Medical Republic interview.